Editor’s Note: This is the second part of the second contribution to my new series Nephite History in Context: Artifacts, Inscriptions, and Texts Relevant to the Book of Mormon. Check out the really cool (and official, citable) PDF version here. To learn more about this series, read the introduction here. To find other posts in the series, see here. These vassal rulers were often petitioning the pharaoh to take sides in the petty squabbles between their city-states. Among them was ʿAbdu-Ḫeba, ruler of Jerusalem (Urusalim). ʿAbdu-Ḫeba wrote six surviving letters (EA 285–290), and three others mention him or Jerusalem (EA 280, 335, 366). As is typical of several of the other vassal kings, throughout his letters ʿAbdu-Ḫeba professes his loyalty to the pharaoh, complains that other city-states are waging war against him, and pleads for the pharaoh’s assistance. Yet letters from successive rulers of another city-state (EA 280, 335) suggest that in some cases, ʿAbdu-Ḫeba may have been the aggressor. Behold Milkilu and Tagu!10 The deed which they have done is this, that they(!) have taken it, the town of Rubutu.11 And now as for Jerusalem—Behold this land belongs to the king, or why like the town of Gaza is it loyal to the king?12 … Milkilu has written to Tagu and the sons of ⟨Lab’ayu⟩,13 (saying) “Ye are (members of) my house.14 Yield all of their demands to the men of Keilah,15 and let us break our alliance ⟨with⟩ Jerusalem!”16 The garrison which thou didst send through Haya, son of Miyare, Addaya has taken (and) had put into his residence in Gaza. … So now, as my king lives, … let the king send fifty men as a garrison to guard the land! Behold the deed which Milkilu and Shuwardata17 did to the land of the king, my lord! They rushed the troops of Gezer,18 troops of Gath, and troops of Keilah; they took the land of Rubutu; the land of the king went over to the ‘Apiru people.19 But now even a town of the land of Jerusalem, Bit-Lahmi by name,20 a town belonging to the king, has gone over to the side of the people of Keilah. Let my king hearken to ‘Abdu-Heba, thy servant, and let him send archers to recover the royal land for the king! based on the Amarna Letters and other contemporary sources. *Transliterations from Anson Rainey, El-Amarna Correspondence (2015), 1110, 1112, 1124. XKI is a postpositive determinative for a place-name. See W. S. Lasor, “Jerusalem,” in International Standard Bible Encyclopedia (1979), 2:999, 1004–1005. If this association with Bethlehem is accepted, then this means that the small town that would later become famous as the birth place of Jesus (Matthew 2:1; Luke 2:4–7) was part of the “land of Jerusalem” at this time,30 and a recently discovered fiscal bulla confirms there was a similar relationship in place in Lehi’s day (see NHC 2c). In that light, Alma’s declaration that the Son of God would be born “at Jerusalem which is the land of our forefathers” (Alma 7:10, emphasis added) should be understood as including Bethlehem.31 Alma’s phrasing is even similar to ʿAbdu-Ḫeba’s in EA 289: “And now as for Jerusalem—Behold this land belongs to the king” (emphasis added). 1. For background on the Amarna Letters, see R. F. Youngblood, “Amarna Tablets,” in The International Standard Bible Encyclopedia, fully revised, 4 vols., ed. Geoffrey W. Bromiley (Grand Rapids, MI: Wm. B. Eerdmans, 1979), 1:105–108; Richard S. Hess, “Amarna Letters,” in Eerdmans Dictionary of the Bible, ed. David Noel Freedman (Grand Rapids, MI: Wm. B. Eerdmans, 2000), 50–51; Clyde E. Fant and Mitchell G. Reddish, Lost Treasures of the Bible: Understanding the Bible through Archaeological Artifacts in World Museums (Grand Rapids, MI: Wm. B. Eerdmans, 2008), 37–42; Lawrence Boadt, with Richard Clifford and Daniel Harrington, Reading the Old Testament: An Introduction, rev. and updated (New York/Mahwah, NJ: Paulist Press, 2012), 131–133; Lester L. Grabbe, Ancient Israel: What Do We Know and How Do We Know It?, rev. ed. (New York, NY: Bloomsbury/T&T Clark), 44–47 § 2.1.2.2. For analysis of the political situation in Late Bronze Age Canaan in light of both the Amarna Letters and other archaeological findings, see Nadav Naʾaman, “Canaanite Jerusalem and its Central Hill Country Neighbours in the Second Millenium BCE,” Ugarit-Forschungen 24 (1992): 275–291; Israel Finkelstein, “The Sociopolitical Organization of the Central Hill Country in the Second Millennium BCE,” in Biblical Archaeology Today, 1990, Pre-Congress Symposium, Supplement (Jerusalem: Israel Exploration Society, 1993), 110–131; Shlomo Bunimovitz, “On the Edge of Empires—Late Bronze Age (1500–1200 BCE),” in The Archaeology of Society in the Holy Land, ed. Thomas E. Levy (New York, NY: Facts on File, 1995), 320–329; Israel Finkelstein, “The Territorial-Political System of Canaan in the Late Bronze Age,” Ugarit-Forschungen 28 (1996): 1–32; Nadav Naʾaman, “The Network of Canaanite Late Bronze Kingdoms and the City of Ashdod,” Ugarit-Forschungen 29 (1997): 599–626; Stephen H. Savage and Steven E. Falconer, “Spatial and Statistical Inference of Late Bronze Age Polities in the Southern Levant,” Bulletin of the American Schools of Oriental Research 330 (2003): 31–45; Nava Panitz-Cohen, “The Southern Levant (Cisjordan) During the Late Bronze Age,” in The Oxford Handbook of the Archaeology of the Levant c. 8000–332 bce, ed. Margreet L. Steiner and Ann E. Killbrew (New York, NY: Oxford University Press, 2014), 541–560. For Egyptian history during the Amarna period, see Jacobus Van Dijk, “The Amarna Period and the Later New Kingdom (c. 1352–1069 bc),” in The Oxford History of Ancient Egypt, ed. Ian Shaw (New York, NY: Oxford University Press, 2000), 265–283; James K. Hoffmeier, Akhenaten and the Origins of Monotheism (New York, NY: Oxford University Press, 2015), 62–90. Dates for the pharaohs are based on the chronology in Shaw, ed., Oxford History of Ancient Egypt, 485. 4. Anson F. Rainey, trans., The El-Amarna Correspondence: A New Edition of the Cuneiform Letters from the Site of El-Amarna based on Collations of all Extent Tablets, 2 vols., ed. William Schniedewind and Zipora Cochavi-Rainey (Boston, MA: Brill, 2015), 1113 restores this as “[Gaza? ]” rather than Jerusalem. William L. Moran, ed. and trans., The Amarna Letters (Baltimore, ML: John Hopkins University Press, 1992), 328 is consistent with Albright. See Rainey, El-Amarna Correspondence, 1593 for discussion. 8. Addaya was the resident Egyptian administrator or governor in Palestine, stationed in Gaza. 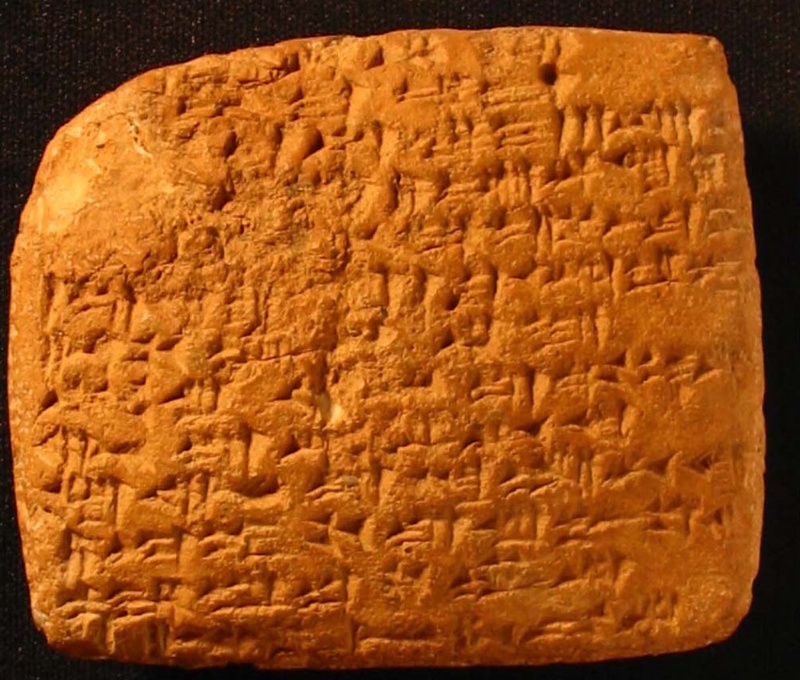 See Albright, “Amarna Letters,” 439 n.21. 9. Moran, Amarna Letters, 328 has, “As the king has placed his name in Jerusalem forever, he cannot abandon it—the land of Jerusalem.” This is the only place where Moran translates the full phrase “land of Jerusalem,” which he has as a singular instead of the plural “lands of Jerusalem.” Rainey, El-Amarna Correspondence, 1113, has “Look, the king has established his name in the land of Jerusalem forever and he simply cannot abandon it, viz. the city state of Jerusalem.” According to W. S. Lasor, in the underlying Akkadian, the first mention of Jerusalem uses mat (or KUR, per Rainey, p. 1112), “land” (mat urusalimki; Rainey: KUR ÚrusalimKI), while the second definitely uses the plural matât (or KUR.ḪI.A, per Rainey, p. 1112), “lands” (matât alurusalimki; Rainey: KUR.ḪI.A URU ÚrusalimKI). See W. S. Lasor, “Jerusalem,” in International Standard Bible Encyclopedia, 2:999, 1005. Moran typically omits “land of” (mat/KUR) in his translations, while Rainey tends to use “land of” (mat/KUR) and “city state” (mat alX/KUR URU) to distinguish between the presence and absence of the “city” determinative (alX/URU) in the underlying Akkadian. Regardless, in this passage, the sense of all three translations is that ʿAbdu-Ḫeba is referring to a broader region or territory by using first mat/KUR and then matât/KUR.ḪI.A. 10. Milku was the ruler at Gezer, and Tagu was his father-in-law. See William Moran, “Tell El-Amarna,” in The Context of Scripture, ed. William Hallo and K. Lawson Younger, 4 vols. (Boston, MA: Brill, 2003, 2016), 3:237 n.13, 238 n.6. Hereafter cited as COS.
12. The meaning of this passage is uncertain. As Albright renders it, ʿAbdu-Ḫeba is arguing that Jerusalem belongs to the king because it’s loyal, like Gaza. Yet Moran, Amarna Letters, 332 (cf. Moran, COS 3:238) has “And now for Jerusalem, if this land belongs to the king, why is it ⟨not⟩ of concern to the king like Ḫazzatu?” (Ḫazzatu = Gaza [see Moran, COS 3:238 n.8]), making it about why Jerusalem is not getting the same preferential treatment as Gaza. Victor H. Matthews and Don C. Benjamin, Old Testament Parallels: Laws and Stories from the Ancient Near East, 3rd ed. (New York/Mahwah, NJ: Paulist Press, 2006), 150 offer a similar translation: “Now, with Jerusalem threatened, why does the pharaoh not show the same concern expressed for Gaza?” Rainey, El-Amarna Correspondence, 1121 offers yet another interpretation: “[And] now as for the city of Jerusalem, if this land belongs to the king, why, as the city of Gaza belongs to the king, is it just sitting (isolated)?” This translation seems to be suggesting that ʿAbdu-Ḫeba is wondering why Jerusalem is left undefended, when Gaza—by the simple command of pharaoh—could come to his aide. 14. This is another passage that is uncertain. Moran, Amarna Letters, 333 (cf. Moran, COS 3:238) has “Be both of you a protection,” and Rainey, El-Amarna Correspondence, 1121, has “Be ye men!” Matthews and Benjamin, Old Testament Parallels, 150 has “Let both of you obey me.” Moran, Amarna Letters, 333 n.3, notes several other proposed readings, including Rainey’s “be men,” “as for you, go on,” and Albright’s “you are of my house.” Cf. the discussion in Rainey, El-Amarna Correspondence, 1596. 16. Moran, Amarna Letters, 333 (cf. Moran, COS 3:238) has “let us isolate Jerusalem,” and Matthews and Benjamin, Old Testament Parallels, 150 similarly has “we will isolate Jerusalem.” Rainey, El-Amarna Correspondence, 1:1121 has “let us desert Jerusalem.” Moran, Amarna Letters, 333 n.4, indicates that it’s literally “let us separate” or “let us desert.” In any case, the sense is that they are plotting against Jerusalem. 17. Shuwardata was another of the vassal kings in Palestine, though his territory is uncertain. Most scholars believe he was the over Gath (see Grabbe, Ancient Israel, 52 § 2.2.1.3) but Albright, “Amarna Letters,” 437 n.16 says he is the ruler of Hebron. 19. There is considerable debate among scholars over the meaning of ʿapīru (sometimes hapīru or even habīru) and just who these people were and whether the name is etymologically related to the term Hebrew (ʿiḇrî). If so, the mention of ʿapīru in these and other texts may hold some clues as to the origins of the Israelites (i.e., the Hebrews). See Carol A. Redmount, “Bitter Lives: Israel in and out of Egypt,” in Oxford History of the Biblical World, 97–98; Robert B. Coote, “Hapiru, Apiru,” in Eerdmans Dictionary, 549–550; Grabbe, Ancient Israel, 52–53 § 2.2.1.3. 20. For the town or city “belonging to Jerusalem,” Moran, Amarna Letters, 334 has “Bit-dnin.urta.” Pitard, “Before Israel,” 65 similarly has “Bit-Ninurta.” Rainey, El-Amarna Correspondence, 1125 has “Bit-NIN.IB” (cf. EA 69: “Beth-[NIN.IB(? )], p. 439). See also “Bet-Ninib” in Hugh Nibley, Lehi in the Desert/The World of the Jaredites/There Were Jaredites, The Collected Works of Hugh Nibley, Volume 5 (Salt Lake City and Provo, UT: Deseret Book and FARMS, 1988), 6; Hugh Nibley, An Approach to the Book of Mormon, The Collected Works of Hugh Nibley, Volume 6 (Salt Lake City and Provo, UT: Deseret Book and FARMS, 1988), 101. 21. Lasor, “Jerusalem,” 999, 1004 and Grabbe, Ancient Israel, 44 § 2.1.2.1 both mention possible earlier references (ca. eighteenth–nineteenth century BC) in Egyptian Execration texts (as rws3mm), though Grabbe notes that “the reading ‘Jerusalem’ has been questioned” by Naʾaman, “Canaanite Jerusalem,” 278–279. 22. See Nadav Naʾaman, “Jerusalem in the Amarna Period,” in Jérusalem Antique et Médiévale: Mélanges en l’honneur d’Ernest-Marie Laperrousaz, ed. Simon C. Mimouni and Gérard Nahon (Walpole, MA: Peeters, 2011), 31–48. 23. Margreet Steiner, “Jerusalem in the Tenth and Seventh Centuries BCE: From Administrative Town to Commercial City,” in Studies in the Archaeology of the Iron Age in Israel and Jordan, ed. Amihai Mazer (Sheffield, UK: Sheffield Academic Press, 2001), 283. 24. For a representative sample of the discussion, see Margreet Steiner, “It’s Not There: Archaeology Proves a Negative,” Biblical Archaeology Review 24, no. 4 (July/August 1998): 26–28; Jane M. Cahill, “It Is There: The Archaeological Evidence Proves It,” Biblical Archaeology Review 24, no. 4 (July/August 1998): 34–38; Nadav Naʾaman, “It Is There: Ancient Texts Prove It,” Biblical Archaeology Review 24, no. 4 (July/August 1998): 42–44; Jane M. Cahill, “Jerusalem at the Time of the United Monarchy: The Archaeological Evidence,” in Jerusalem in the Bible and Archaeology: The First Temple Period, ed. Andrew G. Vaughn and Ann E. Killebrew (Boston, MA: Brill, 2003), 27–33, 73–80; Israel Finkelstein, “The Rise of Jerusalem and Judah: The Missing Link,” in Jerusalem in the Bible and Archaeology, 86–87; Ann E. Killbrew, “Biblical Jerusalem: An Archaeological Assessment,” in Jerusalem in the Bible and Archaeology, 338–339; Margreet Steiner, “The Evidence from Kenyon’s Excavations in Jerusalem: A Response,” in Jerusalem in the Bible and Archaeology, 347–351; Jerome Murphy-O’Connor, Keys to Jerusalem: Collected Essays (New York, NY: Oxford University Press, 2012), 5–6. I tend to favor the view that the clear depiction of a powerful Jerusalem in the letters (from both ʿAbdu-Ḫeba and his enemies) should be given considerable weight in this instance, though I would agree that the meager archaeological finds should temper interpretations somewhat. 25. On this point, see Neal Rappleye, “‘Put Away Childish Things’: Learning to Readthe Book of Mormon with Mature Historical Understanding,” address given at the 2017 FairMormon Conference, August 3, 2017. Nadav Naʾaman has frequently used the Amarna Letters to make this very same point, though he applies it to the Bible, not the Book of Mormon. In addition to Naʾaman, “It Is There,” 42–44, see Nadav Naʾaman, “The Contribution of the Amarna Letters to the Debate on Jerusalem’s Political Position in the Tenth Century BCE,” Bulletin of the American Schools of Oriental Research 304 (1996): 17–27; Nadav Naʾaman, “Cow Town or Royal Capital?,” Biblical Archaeology Review 23, no. 4 (July/August 1997): 43–47, 67; Nadav Naʾaman, “The Trowel vs. the Text: How the Amarna Letters Challenge Archaeology,” Biblical Archaeology Review 35, no. 1 (January/February 2009): 52–56, 70–71; Nadav Naʾaman, “Does Archaeology Really Deserve the Status of a ‘High Court’ in Biblical Historical Research?,” in Between Evidence and Ideology: Essays on the History of Ancient Israel, ed. Bob Becking and Lester L. Grabbe (Boston, MA: Brill, 2011), 165–183. Israel Finkelstein, “Archaeology as a High Court in Ancient Israelite History: A Reply to Nadav Naʾaman,” Journal of Hebrew Scriptures 10, no. 19 (2010) responds to Naʾaman, but nonetheless concedes, “Naʾaman rightly spotlights the discrepancy between the testimony of the Amarna letters, which describe sites such as Jerusalem, Shechem, Gezer and Lachish as strong polities, and the meager 14th century BCE finds unearthed in the excavations at these sites” (p. 2). 26. Naʾaman, “Canaanite Jerusalem,” 281–283 argues that the region under Jerusalem’s direct domain spanning thousands of years was more or less the same as that of the “land of Jerusalem” in the Amarna Letters. 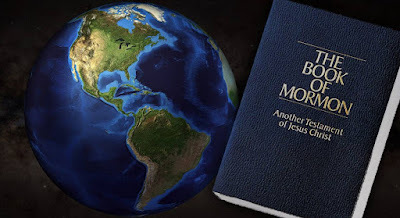 So these later references to the “land of Jerusalem” in the Book of Mormon and Dead Sea Scrolls likely refer to approximately the same territorial region surrounding Jerusalem. 27. See n.20 for translations using Bit-Ninutra or Bit-Ninib. Edward F. Campbell Jr., Ruth: A New Translation with Introduction, Notes, and Commentary, Anchor Bible 7 (New York, NY: Double Day, 1975), 54 indicates that “Bît-NIN.IB=Bît-Ninurta=Bît-Laḥmi.” On the god Laḫmu, see G. C. Hieder, “Lahmu,” in Dictionary of Deities and Demons in the Bible, 2nd ed., ed. Karel Van der Toorn, Bob Becking, and Pieter W. Van der Horst (Boston, MA and Grand Rapids, MI: Brill and Wm. B. Eerdmans, 1999), 502. 28. See Zecharia Kallai and Hayim Tadmor, “Bīt Ninurta = Beth Horon—On the History of the Kingdom of Jerusalem in the Amarna Period,” Eretz-Israel: Archaeological, Historical, and Geographical Studies 9 (1969): 138–147 (written in Hebrew; see English summary on p. 138 of the English section); Nadav Naʾaman, “On Gods and Scribal Traditions in the Amarna Letters,” Ugarit-Forschungen 22 (1990): 252–254 (proposing ʿAnath); Naʾaman, “Canaanite Jerusalem,” 277 mentions Beth-shemesh along with Bethlehem and Beth-Horon as proposals for Bit-Ninutra/Bit-Ninib, but does not go into detail, and mentions that he finds none of these proposals persuasive. 29. Albright, “Amarna Letters,” 440 n.15. See also Michael W. Several, “Reconsidering the Egyptian Empire in Palestine During the Amarna Period,” Palestine Exploration Quarterly 104, no. 2 (1972): 123; Joseph A. Fitzmyer, The Gospel According to Luke (I–IX): Introduction, Translation, and Notes, Anchor Bible 28 (Garden City, NY: Double Day, 1981), 406; Patrick Heenan, “Bethlehem (West Bank),” in International Dictionary of Historic Places, 5 vols., ed. Noelle Watson (New York, NY: Routledge, 1996), 4:133; William M. Schiedewind, “The Geopolitical History of Philistine Gath,” Bulletin of the American Schools of Oriental Research 309 (1998): 73; R. Dennis Cole, “Bethlehem,” in Eerdmans Dictionary, 172–173; Walter A. Elwell and Philip W. Comfort, ed., “Bethlehem,” in Tyndale Bible Dictionary (Wheaton, IL: Tyndale House Publishers, 2001), 165; Markus Bockmuehl, This Jesus: Martyr, Lord, Messiah (New York, NY: T&T Clark, 2004), 25; Eugen J. Pentiuc, Jesus the Messiah in the Hebrew Bible (New York/Mahwah, NJ: Paulist Press, 2006), 137 n.67; Jerome Murphy-O’Connor, The Holy Land: An Oxford Archaeological Guide, 5th ed. (New York, NY: Oxford University Press, 2008), 229–230; Denis Baly, “Bethlehem,” in HarperCollins Bible Dictionary, rev. and updated, ed. Mark Allen Powell (New York, NY: HarperOne, 2011), 92; Murphy-O’Connor, Keys to Jerusalem, 5; Lorenzo Kamel, “Israel and a Palestinian State: Redrawing Lines?,” in The Levant in Turmoil: Syria, Palestine, and the Transformation of Middle Eastern Politics, ed. Martin Beck, Dietrich Jung, and Peter Seeberg (New York, NY: Palgrave Macmillan, 2016), 160 n.6. 30. 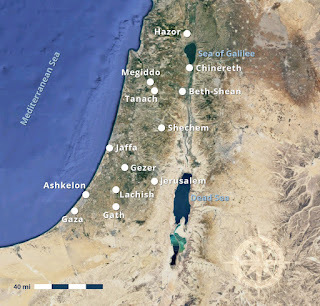 Proposals that Ninutra/Ninib is actually Ḥoron, ʿAnath, or Shemesh (see n.28) naturally lead to different conclusions about what biblical city or town is associated with Bit-Ninutra or Bit-Ninib, namely Beth-Horon, Beth-shemesh, or Beth-ʿAnath. In addition to these, most recently Amir Feldstein, “The Kingdom of Jerusalem in the ‘El-Amarna’ Period,” New Jerusalem Studies 22 (2017): 41–51 (written in Hebrew, English summary on pp. 7*–8*) has proposed Kirjath Jearim. Rainey, El-Amarna Correspondence, 27 appears to favor Beth-Horon, but admits that the question “remains a point of intense controversy.” Campbell, Ruth, 54 notes the dispute but reasons that Bethlehem is “probably attested” by the name, and while they argued for Beth-Horon, Kallai and Tadmor admitted the Bethlehem was the “most widely accepted identification” (Kallai and Tadmor, “Bīt Ninurta = Beth Horon,” English summary, p. 138). The identification as Bethlehem continues to be widely accepted by biblical scholars today (see n.29). 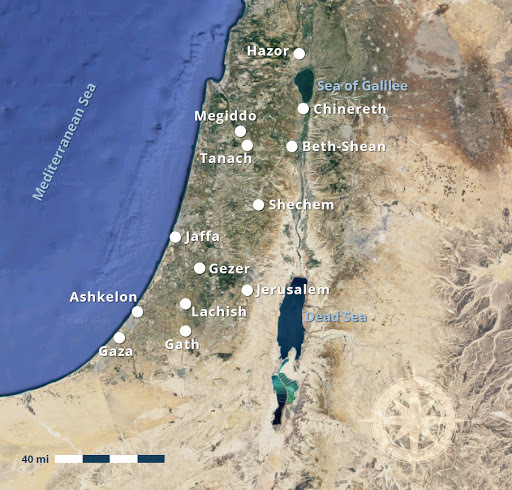 Nonetheless, Beth-shemesh (19 miles), Beth-Horon (12 miles), and Kirjath Jearim (7 miles) are all farther from Jerusalem than Bethlehem (5 miles), so even if one of these alternative proposals is correct, Bethlehem would still be part of the “land of Jerusalem” (Beth-ʿAnath cannot be confidently identified on a map). Certainly, the reconstruction of the “land of Jerusalem” in the Amarna letters by all major scholars encompasses Bethlehem within its borders. See Naʾaman, “Canaanite Jerusalem,” 283–286; Finkelstein, “Sociopolitical Organization,” 122–123; Bunimovitz, “Edge of Empires,” 328, fig. 6; Savage and Falconer, “Spatial and Statistical Inference,” 38, fig. 4; Panitz-Cohen, “The Southern Levant,” 546, fig. 36.2. 31. See Nibley, Lehi in the Desert, 6–7; Nibley, An Approach to the Book of Mormon, 101–102; Daniel C. Peterson, Matthew Roper, and William J. Hamblin, “On Alma 7:10 and the Birthplace of Jesus Christ,” (FARMS Transcripts, 1995); Daniel C. Peterson, “Is the Book of Mormon True? Notes on the Debate,” in Book of Mormon Authorship Revisited: The Evidence for Ancient Origins, ed. Noel B. Reynolds (Provo, UT: FARMS, 1997), 154–158; John A. Tvedtnes, “Cities and Lands in the Book of Mormon,” in Pressing Forward with the Book of Mormon: The FARMS Updates of the 1990s, ed. John W. Welch and Melvin J. Thorne (Provo, UT: FARMS, 1999), 164–167; Daniel C. Peterson, “Not Joseph’s, and Not Modern,” in Echoes and Evidences of the Book of Mormon, ed. Donald W. Parry, Daniel C. Peterson, and John W. Welch (Provo, UT: FARMS, 2002), 211. 32. Naʾaman, “Contribution of the Amarna Letters,” 25 n.2; Moran, Amarna Letters, 338 n.6. 33. See Joseph Offord, “Archaeological Notes on Jewish Antiquities,” Palestinian Exploration Fund Quarterly 48, no. 3 (1916): 148; A. Leo Oppenheim, Letters from Mesopotamia: Official, Business, and Private Letters on Clay Tablets from Two Millennia (Chicago, IL: University of Chicago Press, 1967), 177. 34. See Nibley, Lehi in the Desert, 97–98; Nibley, An Approach to the Book of Mormon, 126–127.